Salient Feature: Department of Zoology is established in the year 1971 and the subject of Fishery Science is introduced in 1983. The department is recognized by our parent University as Research center since 8th May 2003 and now it has developed in to a full fledged center of teaching and research in Zoology and Fishery Science. All the three permanent teaching faculties are recognized as Ph. D. supervisors in Zoology. Two UGC sponsored Major Research Projects are completed. Three trained non-teaching staff (1 lab assistants and 2 lab attendants). The current research and teaching in the department includes various aspects of Animal Physiology, Immunology, Hydrobiology, Clinical Biochemistry, Fish Nutrition and Toxicology. Apart from teaching, the faculty has been publishing papers in national and International Journals. More than 85 research papers, 09 books and one lab manual have been published. 1. To impart the knowledge of subject and create awareness and curiosity about recent discoveries being made in the subject. 2. To explore hidden talents of students by arranging various activities. 3. To create research culture in the department and to produce research oriented graduates. 4. To motivate the faculty to undertake research projects so as to create research environment in the department. 1. The department of Zoology and Fishery Science is in an area of 463. 38 sq. meters. 2. Three spacious laboratories with adequate equipments, chemicals and glass wares. 3. 1 museum with specimens of animals displayed in proper taxonomical sequence. 4. Department is connected to central broad band internet facility. 5. It has Wi-Fi connection also. 6. Departmental library has 114 books and 07 Journals. 1. Recognised as Research center by S.R.T.M. University, Nanded since 2003. 2. Prof. Dr. V.S. 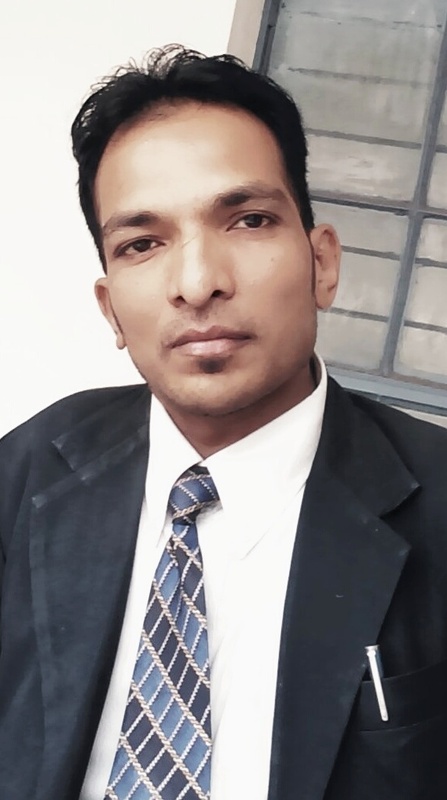 Shembekar is Research guide in Zoology, Fishery Science and Biotechnology.Eight students have been awarded Ph.D. degree and eight students are working for Ph.D. under his supervision. 3. Research scholars received Rajiv Gandhi National Fellowship, Maulana Azad National Fellowship and CSIR Fellowship. 2. He is also honoured by an award of “Advocate Devidasrao Jamdade Probodhan and Vichar Manch Latur” for the contribution to society on 30th August 2008. 3. He is recipient of Maniratna Shikshan Gaurav Puraskar, Urali-Kanchan, Pune in year 2009. 4. 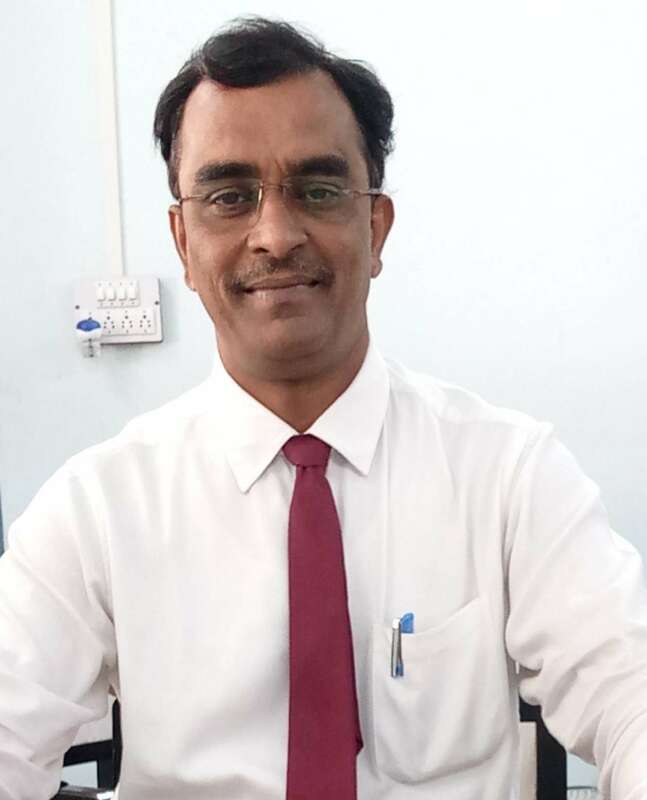 He is awarded as Best Teacher by S.R.M.University,Nanded in 2015. 1. We are extending technical guidance to fishermen and aquarists at Latur, Aurangabad and Nanded. 2. The department offers need based consultancy services to needy farmers, pisciculturists as a social obligation in the field of water and soil analysis. 3. The department has made remarkable strides during last 47 years and is committed to continue working hard for excellence in science. 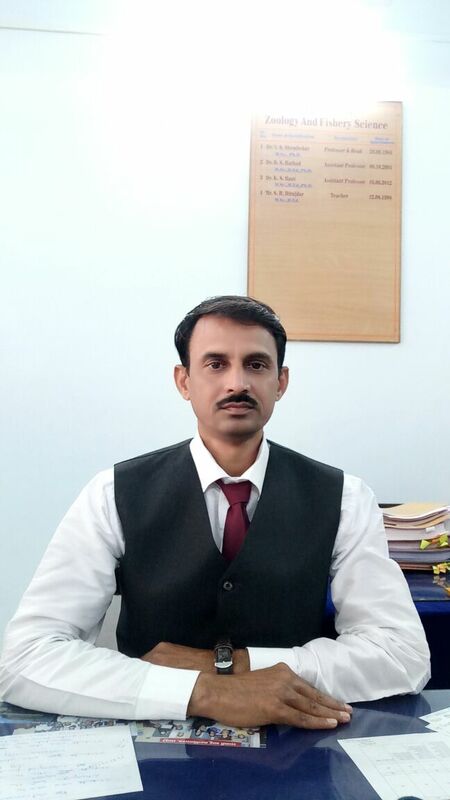 Dr.Vishwas Sharadchandra Shembekar Professor & HoD M.Sc. Ph.D.
Mr. Datta Ashok Nalle Assistant Professor M.Sc.